This offer is available on our Super Machine under-stitched Kilt finish. This kilt finish is 60% hand made, with all the preparation completed by hand cutting the scallops to template. 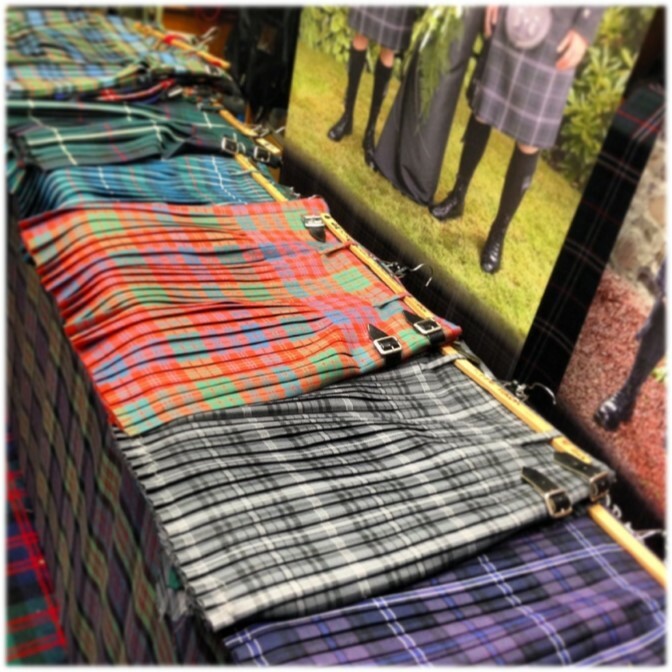 Then the kilt is stitched by machine under the pleats, reinforcing the areas around the buckles, straps and belt loops. Finally the kilt is checked and hand finished, and given a super press to keep the pleats nice and sharp. 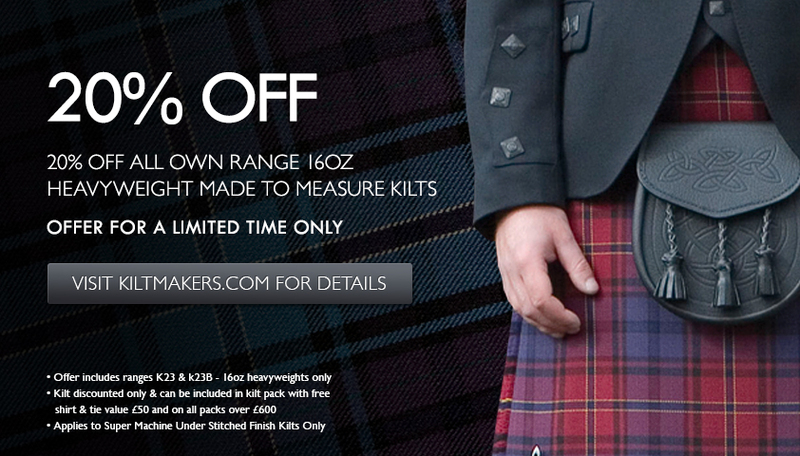 Visit Kiltmakers.com for more details about this offer and our other special deals!